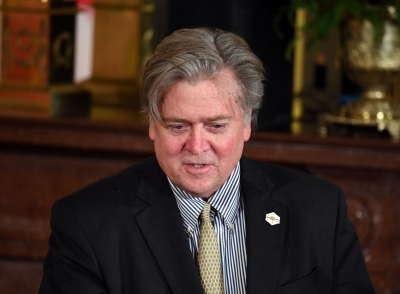 Washington, Aug 22 (IANS) The far-right Breitbart News website, run by Donald Trump’s sacked chief strategist Steve Bannon, has taken an aggressive, critical approach to the President’s address over his new policy on Afghanistan. A headline “Trump’s ‘America First’ Base Unhappy with Flip-Flop Afghanistan Speech” on Monday night blasted the President’s decision to extend the US military commitment in Afghanistan as a “flip-flop” that “reverses course”, reports Politico news. It amounted to a twofer: Ripping national security adviser H.R. McMaster — a former Bannon rival — and likening Trump’s decisions to those of his predecessor Barack Obama, Politico news reported. Another article drilled down on similarities between the two Presidents’ approaches in Afghanistan, contending that Trump “specifically echoed his predecessor’s 2009 speech, after acknowledging that the war had gone on too long”.